Hey there! The next installment of Blogger’s Quilt Festival is just over a month away – have you decided which finished quilt you will showcase? Do you have your button yet? The code is in my sidebar, add the code to your sidebar, and help me spread the word. I’ve added a few details to include in your BQF post here, check it out so you are ready. I’m looking forward to the overload of inspiration! I began quilting in August of 1999. I had been considering it for a while, when a web-site friend from Australia came to visit and encouraged me to give it a try. I started by making a pot holder, or so I thought. That pot holder kept growing and turned into a quilt. I’ve been hooked ever since. Quilting satisfies my creative urges, quilters are such caring and generous people, and I love giving away quilts. This gives me an avenue for my urge to help people. 3.What is your favorite sewing tip? 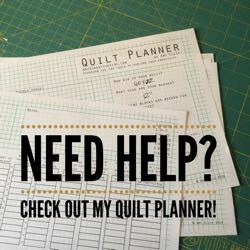 Favorite tips are what I have learned from other quilters: don’t worry about being perfect. Enjoy the process. Quilting is love. It shouldn’t make you feel bad, inferior, or guilty about not being perfect. Love the process and love your quilts. My Quilt Festival quilt was made from a pattern in a magazine. Unfortunately, I gave away the magazine and can’t remember who designed the quilt or even the name of the magazine. I loved the colors in the original so tried to buy fabrics that were similar. It was the first time I dared to take on a pattern that was somewhat complicated and had lots of small pieces. It was a very satisfying and fun process to make this quilt. I then gave it away to some newlyweds, and that was fun, too. I do not enjoy garment sewing, but I do occasionally make other items such as tote bags, aprons, and pillows. Mostly, though, I make quilts and give them away. I am going to make a public confession: I have always struggled with an inferiority complex. It is better as I grow older, but I think quilting has helped me a lot in this area. That I can play with beautiful fabrics and have it turn into something that I love and others love, too, has been a real gift and has helped boost my self confidence. After I started blogging about my quilts, I also found that I enjoy writing and that sometimes other people enjoy reading what I write! That was an added bonus. Quilting has been so good for me in many ways! 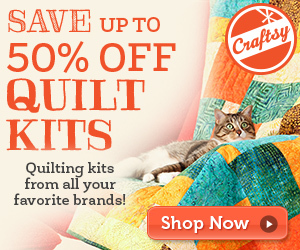 Carol, I’m so glad that you have found quilting, and the community online. Thanks for sharing your quilts and story with us! I absolutely love the Quit Festival quilt that Carol submitted! The color combination is so dark and alluring, and the icy blue in the middle is such a contrast! Well done! Thanks. I love that quilt, too. i pretty much copied the color patterns as they were in the magazine, with some variation in value. It really turned out great. such fun. Carol, beautifully spoken. I love how you give everything away! I’m getting better about that as I get older, meaning I’ve kept a few for myself! i do give a lot away, but I’m also keeping more and more with time. There is no reason to be cold at my house! turn around, and you’ll find a quilt!